After bowling in the Greater Pittsburgh USBC BA City Tournament at Wildlife Lanes in Lower Burrell with a friend, we asked for a local lunch suggestion. My doubles partner heard “Tavern” and said let’s go there. After pulling into the parking lot, we knew we’d be in for an adventure. While the exterior looks like a dive bar, the interior looks like a 70s Italian restaurant. 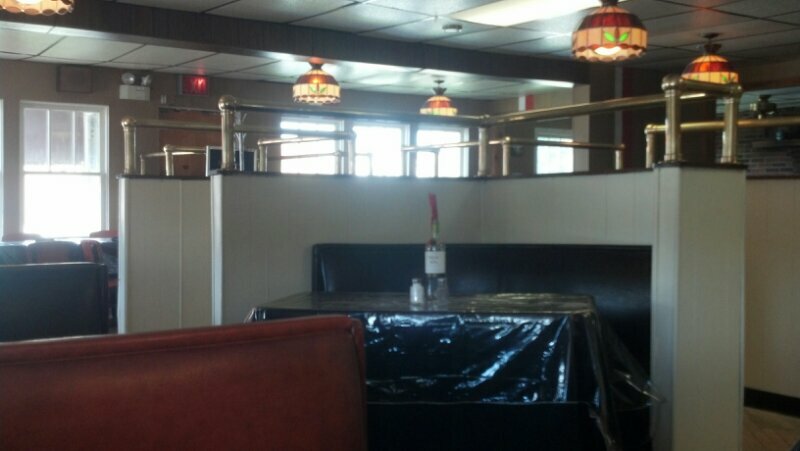 With plastic over the tables and wax dripped, wine bottles for table decor, we lowered the bar for our food expectation. We noticed when we checked in on Foursquare, that it was even classified as a dive bar! My doubles partner, J.M. ordered a personal size pizza with mushrooms and half a meatball hoagie. I ordered a tossed salad and the pepperoni rolls appetizer. 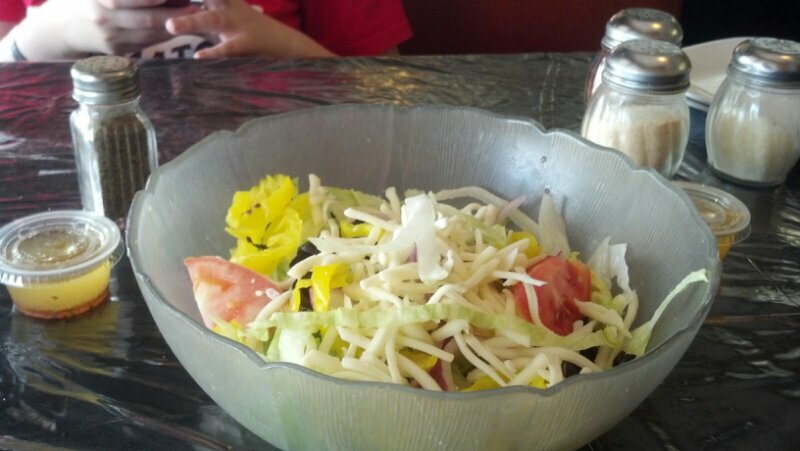 Arriving first was my salad and the size of the salad reminded me of the table-sized serving you get at Olive Garden. With the first bite, I turned to J.M. and proclaimed that their Italian Hoagie must be awesome because the dressing was perfection. 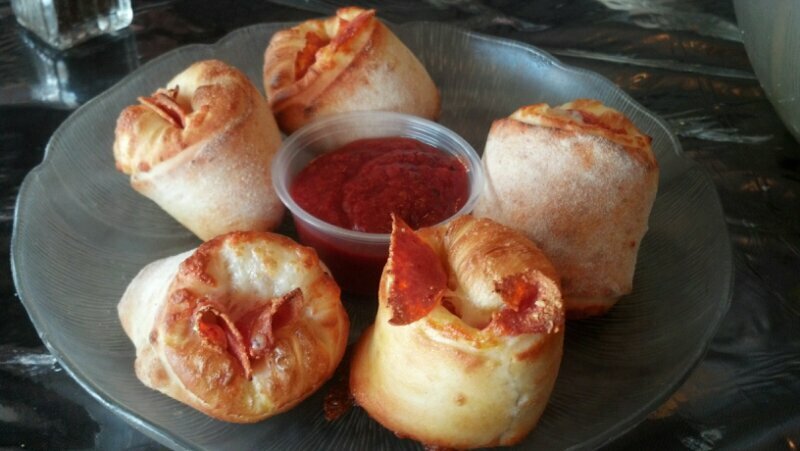 J.M.’s pizza and my pepperoni rolls arrived and we knew right away that this “dive bar” must be an overlooked gem. 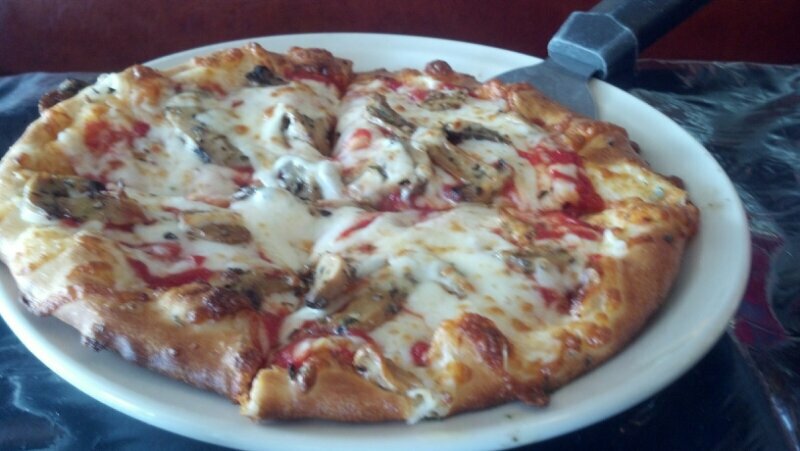 The pizza (pictured first) and absolutely amazing. My pepperoni rolls were served as air filled bites with a pepperoni and cheese center. What made them even tastier was the garlic baked into the middle. So, while I take a break from my lunch to write this post, I recommend to anyone in the area to give this place a shot and don’t judge it by its appearance.